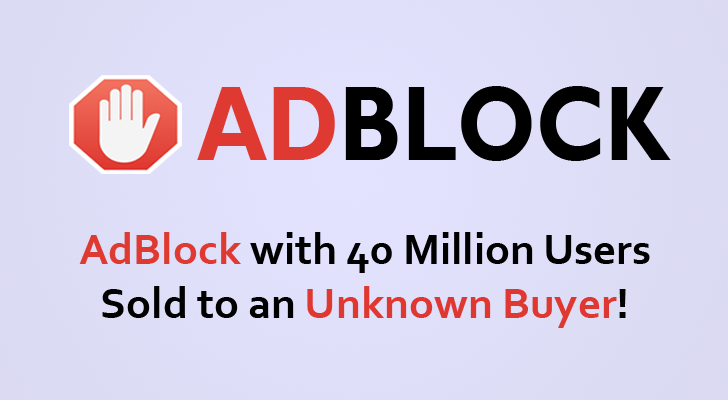 'Michael Gundlach', the creator widely used Adblock Extension refuses to disclose the name, who purchased his company and how much it was sold for, just because buyer wishes to remain anonymous. After watching a popup message (as shown) on their browsers this week, the Adblock users are literally going crazy. "I am selling my company, and the buyer is turning on Acceptable Ads," Gundlach said. Holy Sh*t! NSA Buys Adblock? Should I trust AdBlock Extension anymore? Who owns the Software I have installed? Also, reportedly, Michael Gundlach will no longer be associated with Adblock company or the Buyer's company. ...but now these utilities have changed their fundamental idea for making money by enabling the "Acceptable Ads" feature, which maintains a whitelist of ads that aren't blocked by default. Until now, the company makes money either through donations or through direct payments for its software license. 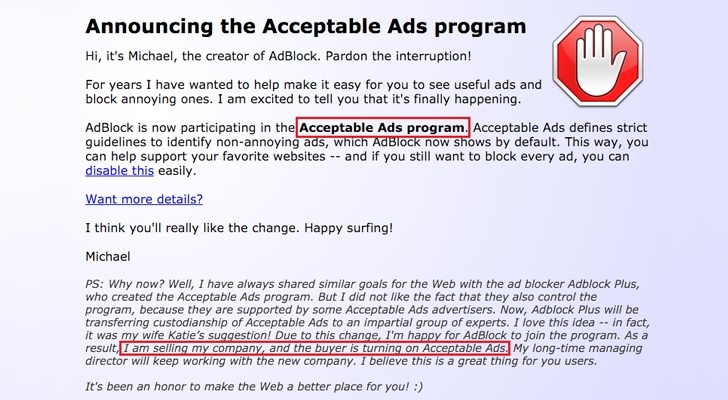 However, Acceptable Ads feature will now let some advertisements through on by selected websites or by selected companies by default, if those companies pay for showing their ads. So, Does that make any sense?